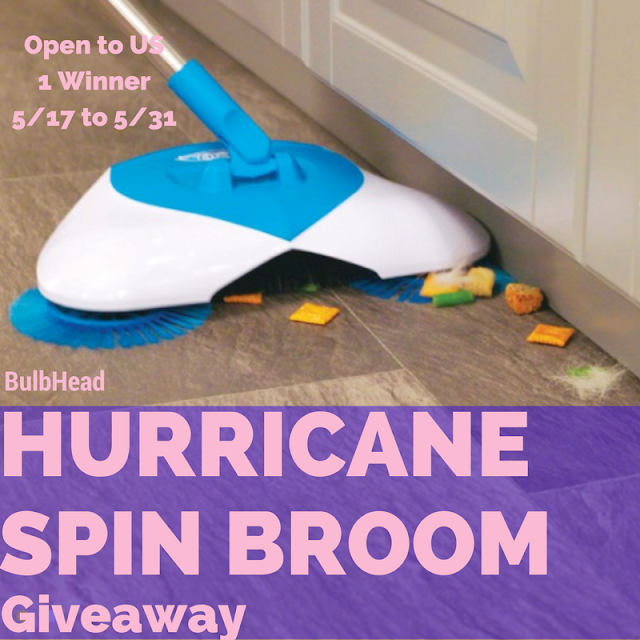 Welcome to The Hurricane Spin Broom Giveaway! Follow BulbHead on Facebook, Pinterest, Youtube, and Twitter. Now for the fun stuff. This giveaway is open to U.S. residents. There are daily bonus entries so please check back tomorrow. Invite your family and friends, I'm sure they'll want to enter to win too! !